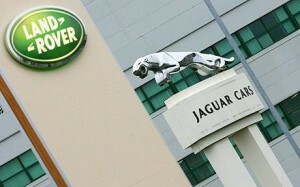 Just weeks after celebrating their 65th anniversary, Jaguar Land Rover made the news again this week – announcing record annual sales, revenues and profits for the last year. Car sales soared 22% to 374,636 vehicles in the past 12 months, a revenue jump of 17% to the end of March. That’s £15.8bn, which helped contribute towards a pre-tax profit increase of 11% or £1,675m. The value of JLR’s Chinese market was highlighted with sales up by 48% to 77,075, that’s just behind the entire European market where it sold 80,994 vehicles, an increase of 18%. Here in the UK sales improved by 20% to 72,270. While sales in North America were 9% better or 62,959 vehicles in total. JLR chief executive Dr Ralf Speth made it quite clear that he held production quality and investment responsible for the increases, as well as celebrating the thousands of new jobs that have been created within the company. “The positive results for the financial year demonstrate that we have strong demand for our great, solid product portfolio all around the world,” he announced. “Jaguar Land Rover invested significantly in the product creation process, in our advanced manufacturing sites and created more than 3,000 jobs. The announcement made welcome reading for the 4,500 workers at the company’s Halewood plant on Merseyside. Staff there have recently been working round the clock to meet demand for vehicles, including the new Evoque model.